West’s Batman was known for his crazy one-liners and tight costume, but it was West’s straight-faced portrayal that made the role truly legendary. West played Batman in the 1966 series for three years — and reprised his role of Batman, or a parody of his role, on many series over the years. With his legendary status cemented, he even made guest appearances playing himself on shows like The Adventures of Pete and Pete, The Drew Carey Show, and The Big Bang Theory. He even voiced animated, comedic versions of himself in The Fairly OddParents and Family Guy. "The tone of our first show, by Lorenzo Semple Jr., was one of absurdity and tongue in cheek to the point that I found it irresistible," West said about Batman. On playing the role, he explained he played "for laughs, but in order to do [that], one had to never think it was funny. You just had to pull on that cowl and believe that no one would recognize you." West passed away last night on Friday, June 9th after a battle with leukemia — but he’s far from forgotten. Celebrities, including West’s costars and other members of Batman franchises over the years, are already sharing their fond memories of him. "Adam and I had a special friendship for more than 50 years," Burt Ward, the Robin to West's Batman told NY Daily News. "We shared some of the most fun times of our lives together." 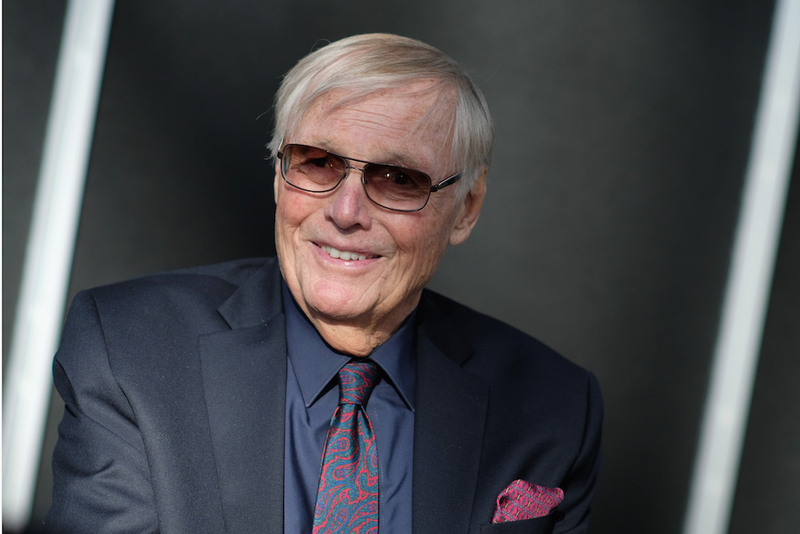 "In [Batman]... we created this zany, lovable world," Adam West told audiences at Comic-Con in 2014. "I look around and I see the adults — I see you grew up with me, and you believe in the adventure. I never believed this would happen, that I would be up here with illustrious people like yourselves. I’m so grateful! I’m the luckiest actor in the world, folks, to have you still hanging around." We’ll never forget Adam West or all of the amazing work he did.